No ordinary beach bags here. 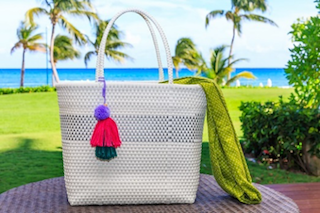 These, handcrafted artisanal beach bags are now offered to guests in Grand Velas Riviera Maya's Grand Class adults only suites. The bags are made by a local artisan community from white toquillo, or recycled plastic, with a colorful yarn tassel on the handle. The bags are available for use complimentary while at the resort and for purchase in the resort's boutique. 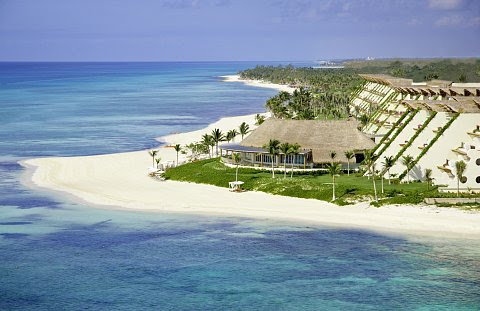 Grand Class at Grand Velas is for adults only, offering guests a private space. Its 1,300 sq. ft. suites are oceanfront offering views of the turquoise Caribbean Sea from a spacious terrace for lounging and private plunge pool. Thoughtful amenities such as whirlpool bathtubs, Nespresso machines, all-inclusive stocked minibar, artisanal tequila, and 24-hour in-room suite service complement the guest room experience while exclusive restaurants, an infinity pool and separate beach area are for adults only. Couples looking for the perfect romantic getaway can now find a bevy of new experiences, ranging from beach movies, cooking classes and stargazing to a beach picnic, the ultimate proposal and private mariachi performances.